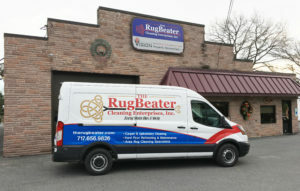 The Rug Beater has been serving the needs of Lancaster, Berks, and Chester County homeowners and businesses since 1988, catering to those who expect the BEST in carpet cleaning, rug cleaning, upholstery care, stain removal and floor maintenance. As a family owned and operated company, we take our commitment to quality results very seriously. That’s why we work to educate our customers and cut through the hype and mis-information that is all too common in our industry. Our focus is always on lifetime relationships with our customers. We want you to feel so good about the service you received that you’ll gladly refer us to your friends, colleagues and neighbors! To provide every client with the industry’s most thorough cleaning available and to clean every home and business as if it were our own. To be recognized as the clear leader in the carpet cleaning industry. To become a learning environment and create opportunities for advancement for all employees. To inspire the highest, most ethical standards of customer service. To build lifetime relationships with our clients. All of our employees are certified by the IICRC (Institute of Inspections, Cleaning, and Restoration Certification) in our field of expertise, which makes us a Certified Firm. This means we’ve agreed to adhere to a strict code of ethics and standards. Our employees also participate in continuing education programs to increase their knowledge and expertise and ensure our customers receive the best service possible. The best results start with utilizing the right equipment for the job. From our truck-mounted hot water extraction units with superior extraction capabilities to our high-quality pressure rotary tools and in-house equipment, we invest in the best technology to get the job done right the first time! We treat every home or business like it was our own home. That means showing up at your door in proper uniform with our names clearly displayed. It means respecting your home or business by setting up safety equipment when required and wearing protective booties. It means gently handling your furniture when we need to move it. It means conducting ourselves in a friendly and professional manner at all times. And it means educating our customers in proper carpet care and floor maintenance to maintain their flooring long after we’re gone. Whether you’re a homeowner or own an office building, church, medical facility or restaurant, we have the right equipment and experience to handle your flooring. From carpet and tile to hardwood and concrete, we offer complete solutions for all your floor care needs.